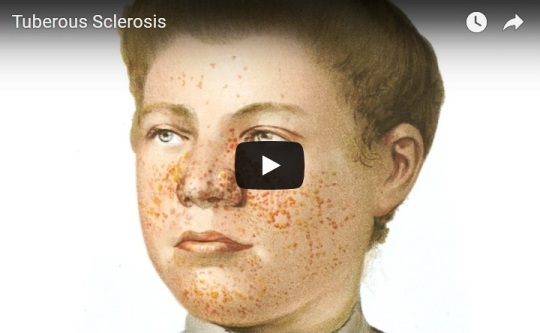 Tuberous sclerosis is a rare multisystem genetic disease that causes benign tumors to grow in the brain and on other vital organs such as the kidneys, heart, liver, eyes, lungs, and skin. A combination of symptoms may include seizures, intellectual disability, developmental delay, behavioral problems, skin abnormalities, and lung and kidney disease. Tuberous sclerosis is caused by a mutation of either of two genes, TSC1 and TSC2, which code for the proteins hamartin and tuberin, respectively. These proteins act as tumor growth suppressors, agents that regulate cell proliferation and differentiation.